Following the suspicious death of Sir Charles Baskerville, and with fear mounting over the safety of his sole heir, Sherlock Holmes and Dr Watson are called upon to investigate. With anonymous notes, escaped murderers, and strange noises in the night, this is their most terrifying case yet. The third Holmes novel, first published in 1902, is one of the most popular works of fiction of all time. 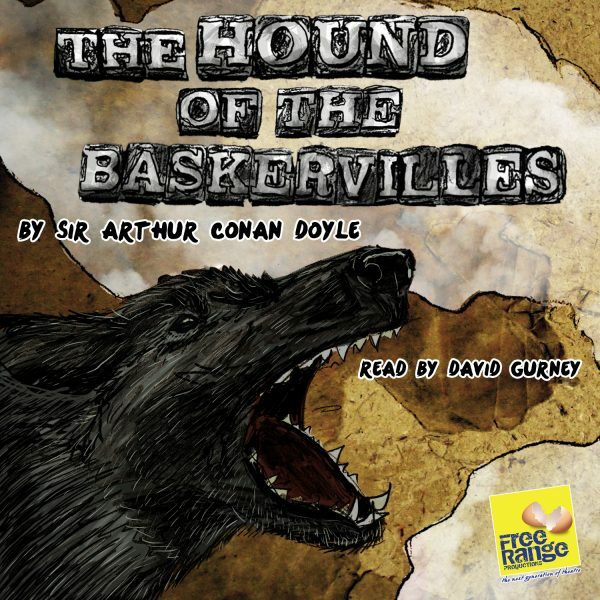 Following successful productions of adapted Holmes stories; FreeRange Productions present their first ever audiobook – read by actor David Gurney and with original music by Sam Nickson. This audiobook contains 15 chapters, delivered in mp3 format. Running time 5hrs 47mins.